I wanted to create a look for Rio 2016 Olympics. I know it's not perfect but I really wanted to do it for a change. 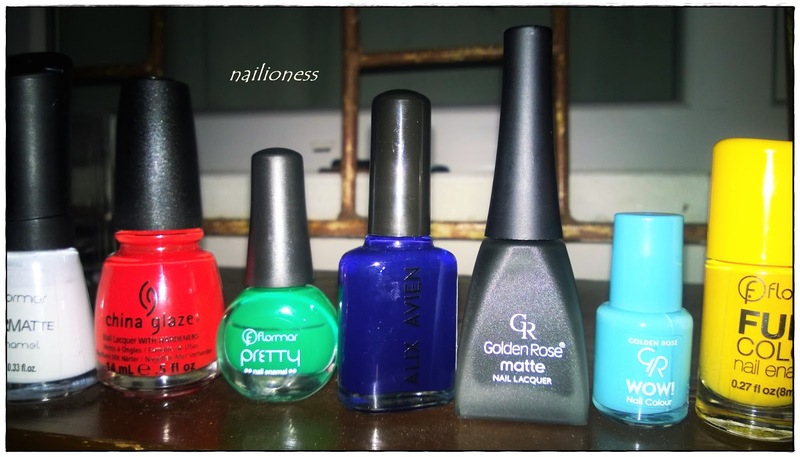 Here are all the nail polishes I've used. 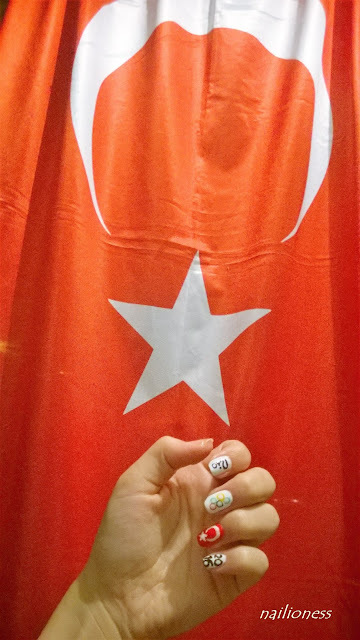 I must say that I was pretty challenged while drawing my country's flag, Turkey. But I'm proud to draw our flag and show my support! 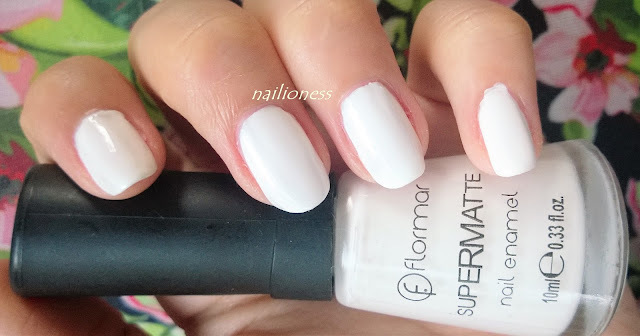 I used Flormar's nail art brush, dotting pen and a pin. First I applied 2 neat coats of Flormar Supermatte Lily White on my nails. 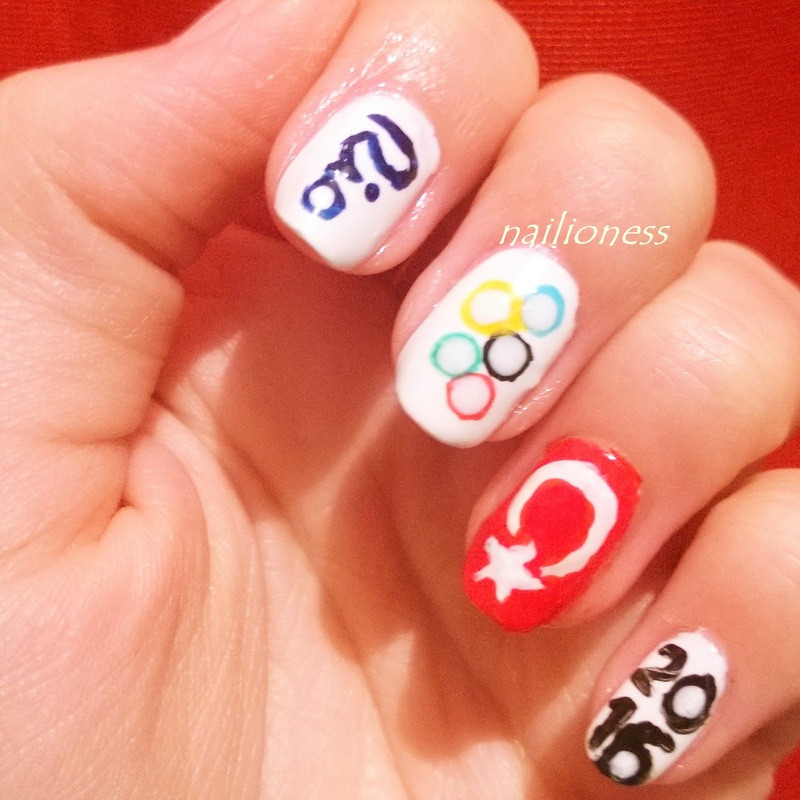 Then, I simply draw Rio, Olympics circles, numbers and Turkey's flag. If you like it, you can go to my Instagram account and give a like! 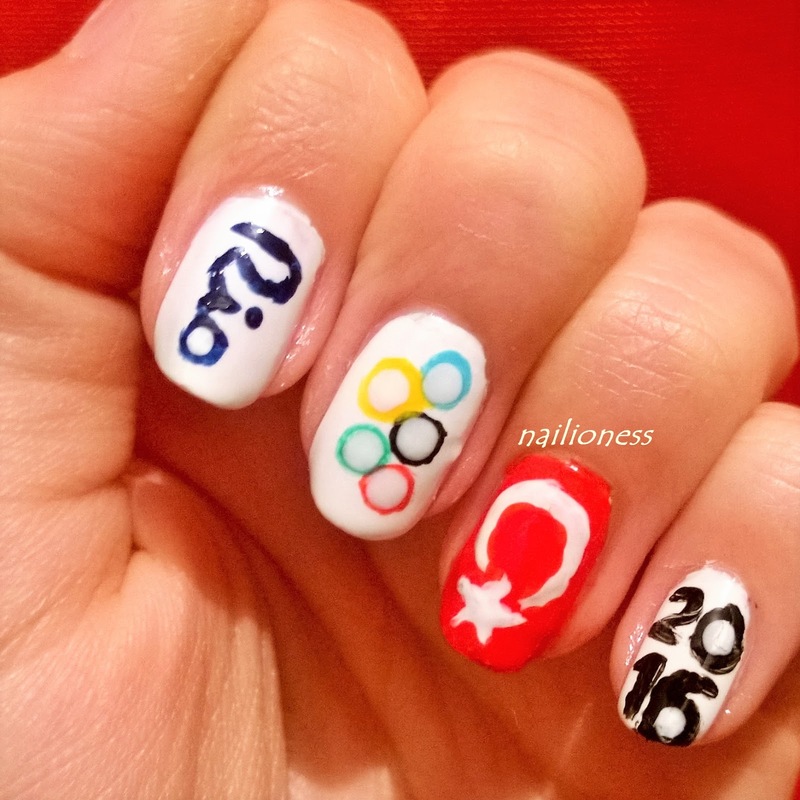 I wish luck to Turkey and other countries !